MCT8 Deficiency also known as Allan-Herndon-Dudley syndrome is a genetic X-link disorder that only affects boys. MCT8-AHDS is a neurological condition that affects mobility cognition and general health. MCT8-AHDS Deficiency also known as Allan-Herndon-Dudley syndrome is a genetic X-link disorder that only affects boys. 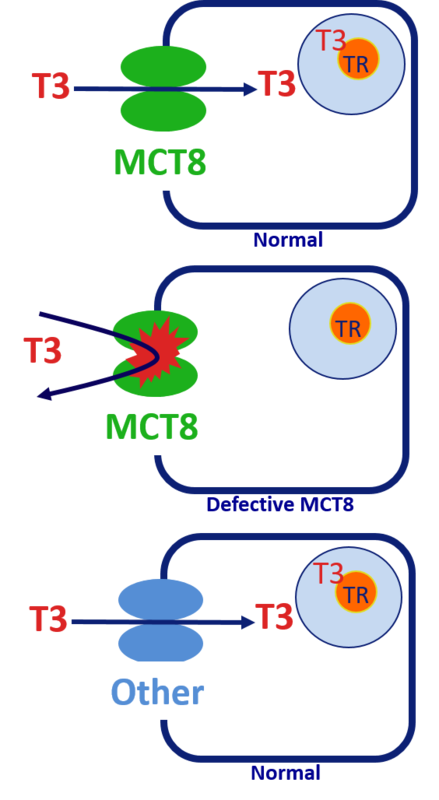 MCT8 (Monocarboxylate transporter) is the protein product of the SLC16A2 gene and is one of the protein substances located on cell membranes that are responsible for the transport of thyroid hormones into the brain. Thyroid hormones are particularly important to proper brain development during embryo and early childhood stages of a child’s life. Lack of thyroid hormones in the brain during these periods is associated with mental delay. Due to genetic mutation of the MCT8 transporter, the blood brain barrier which is the ultimate protector of the brain from any threats does not recognize the carrier and, as a result, it doesn’t allow its passage into the brain. As a result, the brain is forced to develop without the vital help of thyroid hormones. In the meanwhile, the rejected hormones return to the body there they increase blood toxicity and create life threatening complications for patients. Common blood tests that may point into MCT8-AHDS direction are high levels of the T3 hormone and borderline low to low levels of T4. 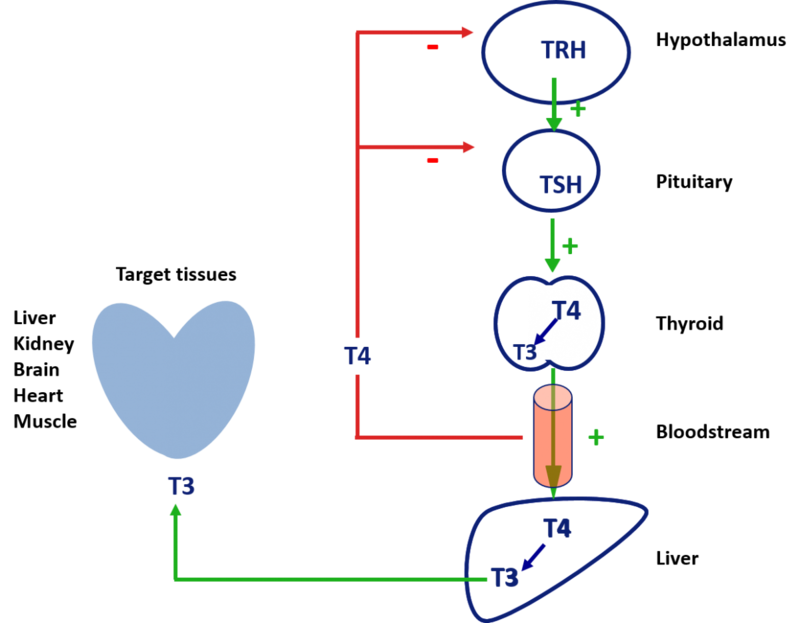 As other tissues have alternative transporters, the high levels of the T3 hormone, increases their metabolism. The high metabolic rate may reflect in the incapacity of gaining or maintaining weight, increased heart rate and so many other symptoms. Even though only boys present symptoms and can MCT8-AHDS patients, girls may carry the mutation as well without presenting any symptoms. That is due to the fact that girls have two X chromosomes. If one chromosome is affected, the body may still use the correct copy from the second one. MCT8-AHDS was discovered in 1944 by William Allan, Florance Dudley and Nash Herndon. They have studied a familial intellectual disability with motor abnormalities in boys. Almost half a century later, in 1990, the first genetic mapping was made. MCT8-AHDS was then one of the first genetic syndromes to be mapped. Thirteen years later, in October 2003, the first connection between the Monocarboxylate transporter 8 (MCT8) and the Allan-Herndon-Dudley syndrome was made. According to Orpha.net, in 2016 there was an estimated number of 320 cases of MCT8-AHDS all over the world. The prevalence of this syndrome is still unknown.